BEST FIGHTER FOR CANADA: HOW TO MAKE A MIXED FLEET WORK. HOW TO MAKE A MIXED FLEET WORK. One way or another, Canada will soon have a mixed fighter fleet. 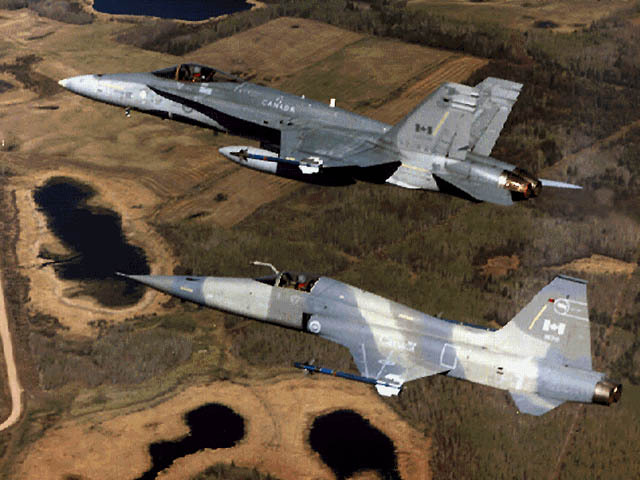 The RCAF will be fielding at least two, possibly three different fighter designs. The CF-18, its replacement, and whatever is chosen to be Canada's "interim fighter" (which may end up being one of the former). One way or another, a mixed fleet will be unavailable as Canada takes delivery of newer fighters while still flying old ones. Needless to say, the usage of multiple fighter types will put additional strain on the RCAF as it is forced to juggle with different training requirements, basing requirements, and logistic concerns. Simply put, multiple fighter types means more cost. It is for this reason that Canada retired its fleet of CF-116 (CF-5) Freedom Fighters. Despite being much cheaper to operate than its CF-18 stablemate, this was not enough to justify the extra hassle of maintaining a less capable fighter. It was deemed wiser to phase out the CF-116 and use those resources towards the CF-18. It should be noted that the concept of a single fighter type fleet is a relatively new one. While the term "multi-role fighter" is ubiquitous today, such a thing was unheard of 40 years ago. Due to the limits of technology at the time, aircraft needed to be specialized for one role or another. A fighter was designated an "interceptor", "fighter-bomber", or "day fighter". Canada's own F/A-18 was arguably the first true "multi-role" fighter, capable of both air-superiority duties and ground attack without much compromise. One could argue that the F-4 Phantom II preceded it, but the F-4's balance between interceptor and ground attack differed depending on the variant. Before the introduction of the CF-18, the RCAF utilized a veritable smorgasbord of fighter aircraft. The CF-116 Freedom Fighter. This was used as a low cost day fighter, "aggressor" trainer, light attack, and reconnaissance. The CF-101 Voodoo. Used as an all-weather interceptor in a role originally intended for the CF-105 Arrow. The CF-104 Starfighter. Used an attack aircraft, despite being originally intended for use as an interceptor (which possibly explains its horrific safety record). The fact that the CF-18 could perform the roles of all three three aircraft was no doubt a boon for the RCAF. Pilots and maintainers needed only be trained on a single aircraft. Supply chains and logistics were greatly simplified. Multi-role fighters do have limitations, however. As good as the Hornet is at multiple roles, it is still surpassed by aircraft dedicated towards a single purpose. The USN still preferred the A-6 Intruder for assault missions and the F-14 Tomcat for air superiority. 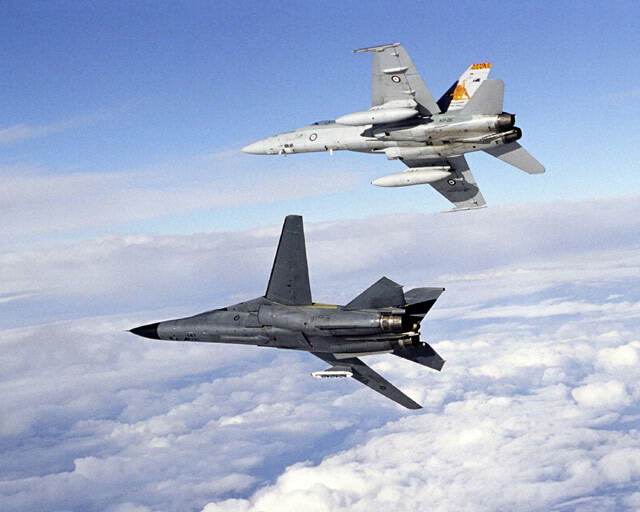 The RAAF bolstered its air power by utilizing the FB-111 Aardvark. Even the very term "multi-role" can be interpreted loosely, as some multi-role fighters are designed with a bias towards one role or another. The Eurofighter Typhoon, for example, skews more towards the air-superiority role. This is because Eurofighter partner nations utilize the Panavia Tornado for attack missions. Conversely, the F-35 Lightning II places more emphasis on ground attack, as the USAF utilizes the vaunted F-22 in the air-superiority role. There is also the question of cost. To put it simply, the more you want a fighter to do (and do it well), the costlier it is going to be. Not only to procure, but to operate as well. Heavy payloads require big aircraft with big engines that burn more fuel. Precision targeting equipment and smart munitions are notoriously expensive compared to their "dumb bomb" counterparts. Stealth coatings require extra maintenance and climate controlled hangars. Australia does make an excellent case study. Like Canada, Australia is a Commonwealth nation with deep ties to the USA, lots of coastline, and close proximity to a potential adversary (Russia for Canada, China for Australia). While not officially a member of NATO, Australia is considered a "major non-NATO ally" and has participated in many of same military coalitions as Canada. Both nations are roughly the same size. Thankfully, the current Liberal government plan is to increase defense spending to more closely match that of Australia's. With similar military spending levels, there is no reason why Canada could not afford to adopt to the same multi-fighter fleet as Australia. Several years ago, much like Canada, Australia was in need of fighter jets. Its fleet of F/A-18 Hornets were rapidly approaching the end of their usefulness. It was also desperately attempting to fill a "capability gap" left behind when it retired its FB-111 fleet due to costs. Australia was already a member of the JSF program so it selected the F-35 as a default choice to replace the F/A-18. Unfortunately, the F-35s would not arrive soon enough to fill the gap left by the FB-111. Australia promptly addressed this by ordering 24 Boeing Super Hornets. Half of these are the EA-18G Growler electronic warfare variant, with the other 12 being prewired for easy conversion. By accident or by design, the RAAF will soon be flying a fighter force resembling that of the USN. Like the USN, the RAAF will be in possession of a advanced stealth fighter, an EW platform, and a solid "workhorse" type. If there proves to be too much redundancy, Australia has the option of converting its "workhorse" Super Hornets into Growlers. 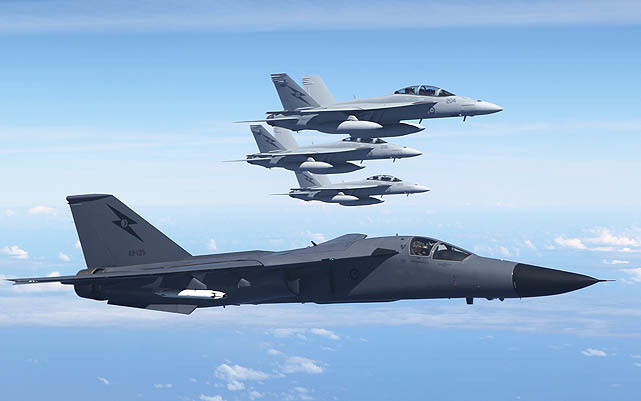 The USN and the RAAF's future fighters. Until recently, Canada's procurement path seemed to be emulating Australia's; albeit at a slower pace. Like Australia, Canada had selected the Super Hornet as an "interim fighter" with additional fighters to be selected later. That came to a crashing halt when the Canadian government retaliated against Boeing's attempt to stifle Canadian aerospace. Now, Canada is back to square one. The ruling Liberal Party of Canada has backed themselves into a political corner by first promising not to buy the F-35, then the Super Hornet. Of course, backtracking in politics is certainly not unheard of so neither option is truly off the table yet. With less than two years before the next federal election, there is considerable pressure to come up with an answer to Canada's fighter problem. As I mentioned in my last post, the F-35 Lightning II is still very much a contender. After maturing somewhat, it is better than it once was, but still far from perfect. It is still too unreliable, too expensive, and too beholden to the USA to be Canada's mainline fighter. There is still a great deal of pressure to purchase the JSF however. 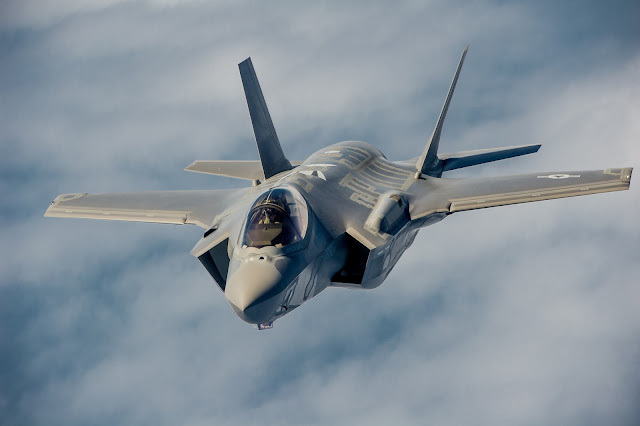 At its current rate of production, the F-35 would be readily available for purchase if Canada wished to do so. This comes with a caveat, however... The F-35s themselves may not be ready for primetime. 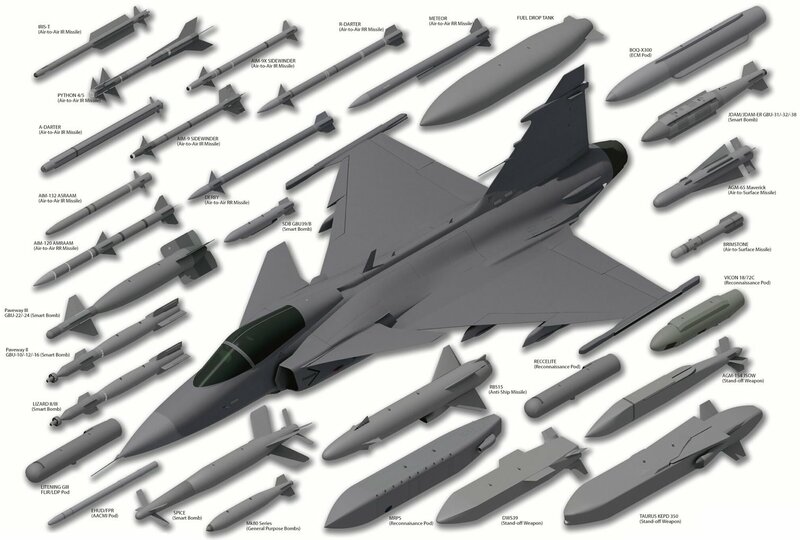 Other fighter choices, like the Typhoon or Gripen, come with their own caveat: Due to the much slower production rates compared to the JSF, it would take many years to acquire the full complement of 88 fighters. The solution to this quandary may be for Canada to hedge its bets by purchasing two different fighter types. One as a "workhorse" type and the other as a "special purpose" type. Unfort, this would entail additional cost when compared to utilizing a single fighter type, but there are ways to mitigate this somewhat. First of all, both fighter types would have to utilize the same weapons. This is a rather easy stipulation as the F-35, Typhoon, Gripen, and Super Hornet all use the typical Sidewinders, AMRAAMs, Paveways, and other ordinance commonly found in NATO. Only the Rafale sticks out due to its preference for French-sourced MICA missiles and the like. Second, cost differences must be enough to make a mixed fleet feasible. It is for this reason that the Typhoon and Rafale lose out somewhat. While both have lower operating costs than the F-35, neither is remarkably so. Flying a mix of F-35s and Typhoons would almost certainly cost more than flying a fleet consisting solely of F-35s. However, the Super Hornet, which has nearly half the cost per flight hour (CPFH) certainly makes an argument. 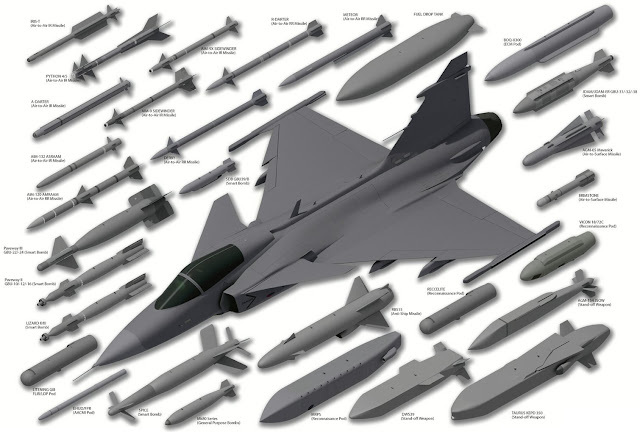 The Gripen, on the other hand, at less than one-quarter the CPFH, would seem to make a much larger argument that a mixed fleet would be economical feasible. The third consideration is capability. 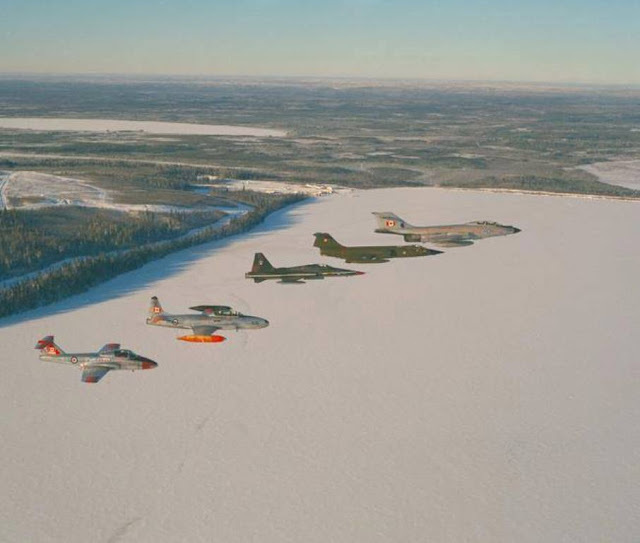 When the RCAF retired the CF-116 Freedom Fighter, there was little protest. Simply put, there was nothing the Freedom Fighter could do that the CF-18 could not. The CF-116 also lacked modern features like beyond-visual-range (BVR) capability. Despite all the differences between the fighters being considered now, none of them are lacking capability. It could be easily argued that real-world use would only reveal minor differences between them. It is in these minor differences that Canada has potential to do something truly great. By choosing two fighters that are on opposite ends of the spectrum, Canada could greatly improve its capability at an affordable cost. The first candidate would obviously be the Gripen. It is by far the cheapest to operate and makes an excellent fit for Canada's climate and defence budget alike. Despite its affordability, the Gripen is no slouch. The upcoming E version will utilize an AESA radar, IRST, and advanced countermeasures system. It is available in one or two-seat versions and its low operating costs make it an excellent high-end trainer and aggressor craft. The Gripen would have no issue utilizing the RCAF's current infrastructure; including the Forward Operating Locations and aerial refueling assets. The JAS 39E/F makes an excellent candidate for the RCAF's workhorse fighter. As such, it should make up the brunt of the fleet, replacing the CF-18 on a nearly one-to-one basis. This would make 70 fighters delivered gradually over the next 10 years. The Gripen does lack in payload and does not have stealth capabilities, which makes its choice of stablemate a clear one. 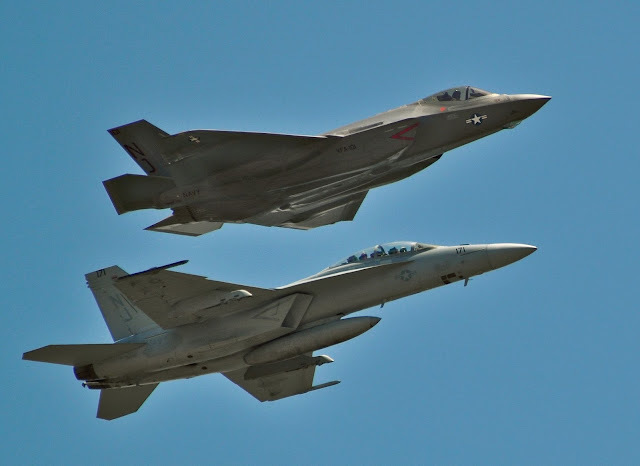 To address the "capability gap" that nobody even acknowledged existed until recently, the F-35 makes a good candidate. Like it or not, the F-35 is the only fighter with stealth capabilities. This alone makes for an argument that Canada should purchase at least a few of them. There is also the simple fact that since we have already paid into the program (and continue to do so) we would be wasting money if we passed the JSF over. Does Canada really need 88 stealth fighters however? It seems like it would be a bit of a stretch to declare we would need more than a handful of high-cost stealth fighters at most. By purchasing a 18 fighters within a three year period, Canada would address its capability gap in short order. Those 18 F-35s would not be an "interim" fighter but more of a "special purpose" fighter. As such, its use would be reserved for duties less suited to the Gripen, like high-risk coalition actions and the like. A single squadron operating out of a single base would lessen the need to modify other airbases to accommodate the JSF's special needs. I have argued before that the Gripen and the Super Hornet would make a good pairing due to their common engines, low costs, and differing capabilities. A similar argument can be made for a Gripen/JSF pairing, except the low costs would be replaced by an even wider range of capabilities. 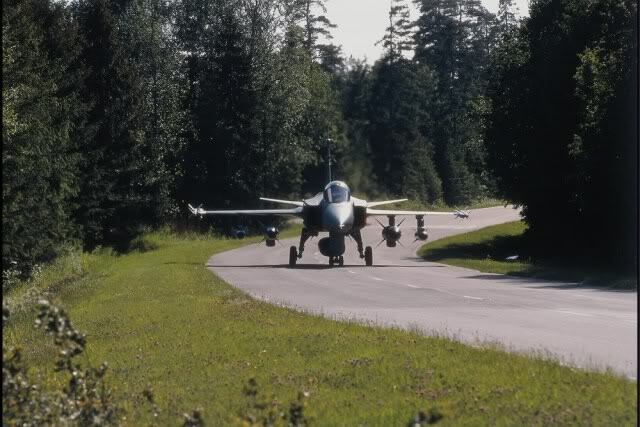 What the Gripen lacks in payload and stealth, the F-35 delivers. What the F-35 lacks in ruggedness and affordability, the Gripen delivers. By going with a mixed fleet, the RCAF would enjoy the best of both worlds. Best of all, by choosing a small number of F-35s, Canada not only lowers costs, but avoids the risk of putting all of our eggs in the JSF basket. If another grounding were to happen for one reason or another, the loss of 18 out of 88 fighters would merely be an inconvenience. Purchasing a small amount of F-35s followed by a larger amount of fighters purchased elsewhere would also send a political message as well. It would show that we still have faith in our American neighbors, but that faith is waining.